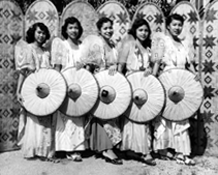 In 2006 the Hawaii celebrated 100 years of Filipino migration to Hawaii. The following exhibit derived from a travelling exhibit that was assembled as part of this celebration. 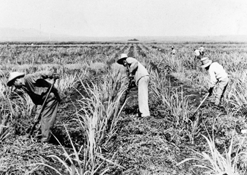 The exhibit was first displayed at the opening ceremony for the Centennial Celebration, after which it was exhibited throughout Oahu during the year-long celebration. The thoughts and perspectives expressed in each exhibit are those of the author of each exhibit and not necessarily those of eFIL, the Filipino-American Historical Society, or any of eFIL's partners. Each author holds the copyright for the exhibit's content and references to the exhibit should be properly cited. See section on... for more information.